Never Seen Before! 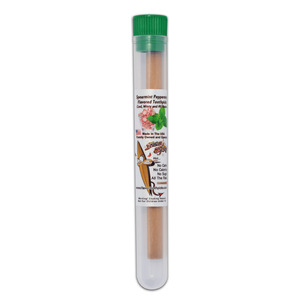 All Natural Wood Flavored Spearmint Peppermint Chewing Stick! Each tube contains (1) 3/8" Diameter x 4" Long Spearmint Peppermint Flavored Birch Wood Chewing Stick and (1) Tube Shipped with Each Order.